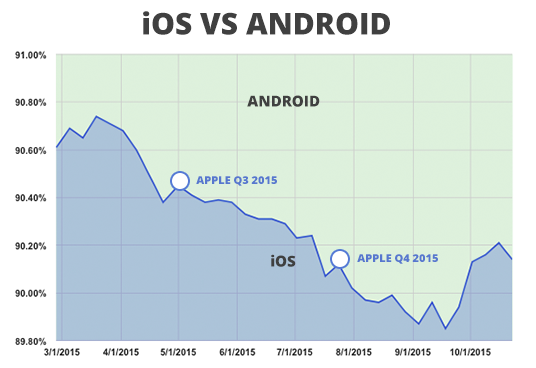 After riding a four week hot streak, Apple finally lost market share to Android this week with a 0.07 percent loss among pMD's physician users. Apple also released numbers around the status iOS 9 updates this week, revealing that 61% of devices are using iOS 9 since the new operating system was released on September 16. All eyes are set on Apple's Q4 earnings report this Tuesday.